Colne Valley is located in West Yorkshire in the north of England. The seat was created in 1885 and has been a bellwether since 1987. The current member of parliament is the Conservative Party’s Jason McCartney who has served since 2010. Through honesty, transparency and hard work, I want to help rebuild your trust in politics and politicians. I will bring energy and optimism to help build a fairer, more equal Britain. As a former social worker, from an ordinary working family, I understand people. I won’t make promises I can’t keep and will always strive for a firer Britain. I worked in a bank after leaving my local comprehensive school, then volunteered in Scotland and Northern Ireland. At the age of 23 I was the first person in my extended family to go to university. I worked with homeless families and as a family in childcare social worker in Belfast for a decade, then went to Africa as a VSO volunteer. I have worked for a number of charities in the UK and overseas, including Amnesty International and Christian Aid. I am a keen runner and cyclist and have a strong network of family and friends who help keep my feet on the ground. 1. What do you plan to do in order to make sure you remain ‘in touch’ with the electorate? I have made promises about this on my website. I will be a full time MP and will not take any other job. I will always be available and will live in the heart of the constituency. I won’t just attend events, but will campaign on the issues that matter most to local people. My constituency office will be open and welcoming. 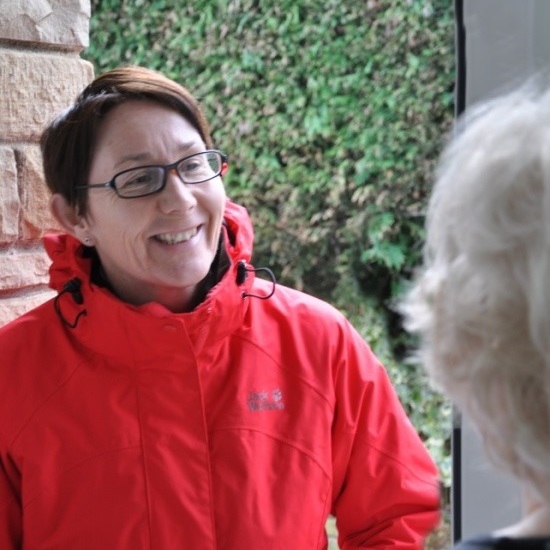 I will work closely with local advice agencies and Kirklees councillors to ensure your problems are dealt with promptly. I will hold regular surgeries across every ward of the constituency and a Consultation Week every year to hear the views and concerns and respond face-to-face to the questions of people from all sections of the community and every part of the constituency. 2. What makes you the best candidate for this constituency? My beliefs, life experience and being a representative of the Labour Party. Despite difficult times, I absolutely believe that Labour is putting forward policies which will make a real difference in the lives of ordinary families. From a working-class family and as a former family and childcare social worker, I understand people. I have worked for the past 13 years for a series of charities overseas and in the UK, including for Amnesty International and Christian Aid. These experiences have given me an understanding of people in the most troubled of situations. I am sincere and honest, hardworking and approachable. I know it is a very close fight here between Labour and the Tories. I believe you need an MP of substance and with conviction, who will be able to translate the needs of the people in the Colne Valley into national policy issues. 3. What has the current Member achieved that you believe has been successful? I recognise that the former Tory MP, Jason McCartney, has been very present in the constituency and responsive to constituents. I believe this is the least residents should expect of their constituency MP. He has also been a true Tory voting with his Party almost 95% of the time, despite the occasional well publicised rebellion. Mr McCartney has portrayed himself as a ‘local champion’, but voters need to remember that they are not electing an independent councillor. 4. In your opinion, is austerity working? What should we take from the state of the economy during this Government’s tenure? In George Osborne’s first budget in June 2010, the prediction was that “the cyclically-adjusted or structural current deficit will be eliminated by 2014-15″. The latest forecasts say the deficit will now not be eliminated until 2017/18 and public sector net debt will peak at 80.4 per cent of GDP in 2014-15 – about double its pre-crisis level. The deficit has been halved as a percentage of GDP, but not in cash terms. So the government has barely achieved half the deficit reduction it set out to do. Wealth does not trickle down. It is concentrated in the hands of far too few people. Despite protestations to the contrary, George Osborne has increased Government debt. Cuts have fallen disproportionally on Northern Councils. If I were to sum up the state of the economy in one word it would be ‘unfair’. 5. Does (legal) immigration need more limitations or is it vital for the UK? I am a confirmed internationalist and as such believe we have a moral duty to give support to those fleeing persecution. I also value the significant contribution immigrant communities have made to our local economy over generations. For me the best way to control immigration is by reducing the need for economic migration, by supporting the growth of economies in other parts of the world. I see a clear link between immigration and overseas aid. We need a fair immigration policy which ensures we are able to attract the best talent to fill the skills gaps in our economy. We need to ensure that local workers are not undermined by recruitment agencies who advertise only overseas, or by employers who fail to pay the minimum wage. Additionally, it is fair to expect that there is a contribution element to receipt of benefits. 6. Many people are concerned about the cost of living in the UK, with wages having failed to rise in line with the price of food, energy and rent in recent years. How can this be corrected? Labour estimates that ordinary working families are £1,600 worse off in real terms since 2010. We recognise a very real cost-of-living crisis here. We will tackle this by increasing the minimum wage and encouraging employers to pay the living wage through tax incentives. I am particularly keen to see Labour ensuring those firms who benefit from Government contracts do so whilst paying a decent wage and offering decent working conditions. Labour is also committed to reform of the energy sector to control prices; and to enforcing a strict annual cap on fares, and a legal obligation for train companies to give travellers the lowest price ticket. 7. How would you like to see the NHS change in the future in order to become more successful? Every party is making commitments to protecting the NHS. What sets Labour apart is our ideological commitment to a national health service free at the point of delivery, offering high quality care to every one of us, irrespective of how much money we have. •	Investing an additional £2.5 billion per year in frontline staff. Additionally, we will guarantee the right to a GP appointment within 48 hours, or on the same day if needed; and by 2020 a maximum one-week wait for cancer tests and results. I do not believe there is any place for profit in the provision of an essential service such as healthcare. 8. What measures do you think need to be taken to decrease unemployment, particularly youth unemployment and those who have never been employed? The challenge is not just about reducing unemployment, but about creating well-paid, secure jobs. Whilst official unemployment statistics may be falling, self-employment, zero-hour contracts and part-time work are all on the increase. The creation of meaningful employment needs finance, support to small business, investment in infrastructure and skills development, and remaining part of the EU. Labour has a plan for a more prosperous Britain, which includes reform of the banking sector and the creation of a British Investment Bank, a massive investment in vocational training, devolution of funding to regional agencies to grow their local economies, and the delivery of gold-standard apprenticeships. I want to see all of our young people have a decent chance in life, whether through university education (Labour will reduce tuition fees by a third) or a vocational route. 9. Does the lack of diversity in Parliament equate to a lack of representation? It certainly does. I am proud of the steps Labour has taken to improve gender representation, but there is still a long way to go. Labour has made the greatest strides but only 22% of all MPs are women. I also want to see more people like me from very ordinary backgrounds in Parliament. Candidates all have to invest a huge amount of time and resources with no guarantee of winning. We have to work out as a country how we can support them better. Additionally, we need more representatives from black and ethnic minorities. We are a diverse country, and I believe this absolutely needs to be reflected in Parliament. Finally, Labour plans to reform the House of Lords. We are committed to the creation of a Senate of the nations and regions, which will be significantly more representative of our population. 10 . If an EU Referendum were to take place, how would you encourage your constituents to vote and why? I would encourage a yes vote, to remain within the European Union. The founding rationale for the EU was peace, now it is power. In our increasingly globalised world, to have influence, nation states need to be part of a collective voice. We need to tackle global challenges such as terrorism, climate change, migration and organised crime together. We need to collaborate with our European partners on trade, defence and foreign policy. More than 50% of the UK’s trade is within Europe and as many as 3.5 million British jobs depend on EU exports. The CBI has been unequivocal in its support for our membership of the EU. The Labour Party is not supporting a drive to an ever closer union, but a ‘lock’ that guarantees no further transfer of powers without an in/out referendum. We advocate reform in respect of the budget, immigration and accountability. I’m standing on behalf of Yorkshire First for Colne Valley where I’ve lived for nearly 20 years. I was involved in the Labour Party but I came to the conclusion that it had lost any radicalism it once had and is run by a small elite based in London. I want to see the regions of the North of England having their own democratic voice, just like Scotland and Wales have. Yorkshire is the same population as Scotland but has none of its powers. Yorkshire First is a new party that abides by the ‘Bell Principles’ of ethical behaviour and doesn’t tie its activists to a ‘whip’ system. We all believe in social justice and greater equality and a stronger voice for Yorkshire but beyond that we trust our people to make informed decisions based on what local people in their areas want. I was born and bred in Lancashire but have made Yorkshire my home. My parents were factory workers and I benefited from the post-war welfare state by getting a good education. I’ve worked in the railway industry most of my life, in the last few years at a senior level. I set up the national Association of Community Rail Partnerships, which is still based in Huddersfield. 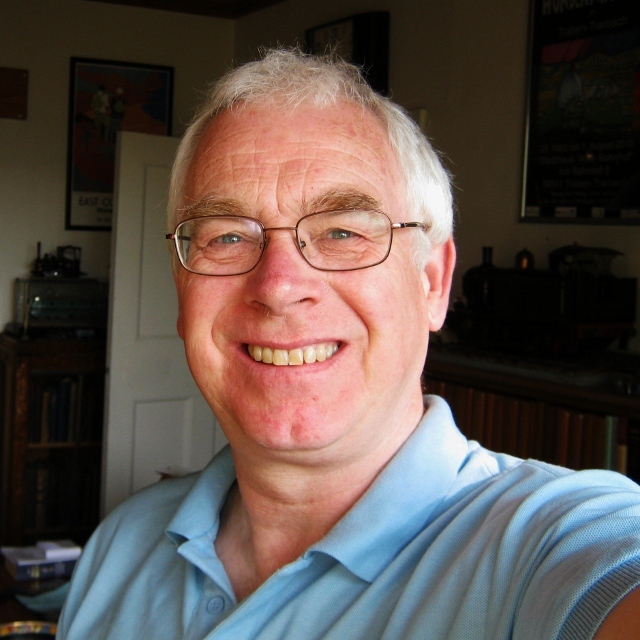 I’m a visiting professor in transport at the University of Huddersfield and a trustee of the Campaign for Better Transport. I’m actively involved in community activity in Colne Valley. I helped set up the Free University of Slawit and the campaign for a rail station to serve Golcar and Milnsbridge. I’m chair of the Red and Green Club in Milnsbridge, which we rescued from closure when it was the Milnsbridge Socialist Club. I have always worked positively with politicians of all parties; nobody has a monopoly of truth. 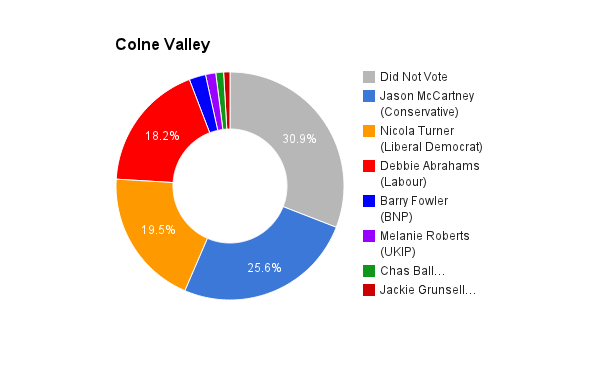 My achievements in community activity in the Colne Valley qualify me to represent the people of this constituency. Whether I am ‘the best’ candidate I’ll leave that to others to decide. Lots of things: face to face contact by holding regular ‘one to one’ meetings with constituents (traditionally called ‘surgeries’ but I’d call them something less surgical!) ; a quarterly ‘Colne Valley Parliament’ open to everyone in the constituency, to come along and discuss current issues, get feedback from me and hear people’s views. Also, regular use of social media keeping people up to date and a printed newsletter at least twice a year to all households. And I would always be open to attending meetings of local community groups, business organisations, campaigns and faith groups. It sounds arrogant to say ‘I’m the best’. People should decide that for themselves. However, I am different: I am committed, if elected, to taking the average full-time salary for the area, which is around £27,000. That leaves £40,000 which I would use to employ two young people to develop their skills as community activists. I have a long record of community activity in the Colne Valley and have worked with people of all party affiliations and none. I’m not tribalist. Jason is hard-working MP and I respect that. I like his ‘Jobs Fairs’ which he has held and if elected I would continue those. He is approachable and responsive, which is what I would aim to be. No, I don’t think it is. It has been a disaster for the North of England, causing the economy to shrink even more. It’s hard to find anything good to say about the Government’s handling of the economy. The north-south gap as grown but so too has the gap between rich and poor. I want to see a Yorkshire Development Agency (accountable to an elected assembly) investing in growth industries, supporting training and apprenticeships and helping small businesses develop. No, I don’t think it does need limiting. Our problems are not caused by immigration – and immigrants bring valuable skills to our society. The way we treat asylum seekers and refugees is a moral disgrace. I believe in respecting people’s cultures and see multi-culturalism as a source of strength. I believe we should encourage people from different cultures and backgrounds to work together, understand each other. I am a Lancastrian who has lived in Yorkshire for 20 years – everyone, wherever they are from, should feel comfortable in being part of this traditionally friendly and welcoming place. We need a higher minimum wage and encouragement to employers to lead by example in offering a living wage….but that must be based on robust economic growth. We need a fairer taxation system using some tax revenues from the very highly paid to support investment in jobs. It’s all about creating a more vibrant economy in the North. We need investment to support growth industries and help small and medium-sized entrprises. That’s why I’m so keen to get a Yorkshire Development Agency, building on the good work done by Yorkshire Forward which was abolished by this government. I am keen to support young people’s business ideas – especially through co-operatives and mutuals. Colne Valley has lots of empty space in former textile mills which we should be putting to use for new businesses, with living accommodation too. We also need investment in infrastructure to attract firms into the area and allow people living here to access employment and training. The priority should be investment in good public transport with affordable fares. Yes, it’s a big problem. I would like to see equal representation of men and women. I strongly believe in proportional representation but we also need to look at getting more young people into politics, addressing the increasing tendency for politicians to be from middle class backgrounds and get more people from ethnic minorities involved. I am pro-Europe and pro-world. I believe we should stay in the EU but work hard to make it more attuned to people’s needs and less about imposing neo-libeal policies. Leaving the EU would be economic suicide and lead to Britain becoming a very ugly, hostile and regressive nation. Chas Ball and his wife Gill Clarke have lived in the constituency since 2001 and they are active supporters of the Green Valley Grocer co-operative in Slaithwaite and Marsden Jazz Festival. Chas is an advocate of local food strategies that encourage a more self-sufficient Britain, healthier eating and sustainable agriculture. 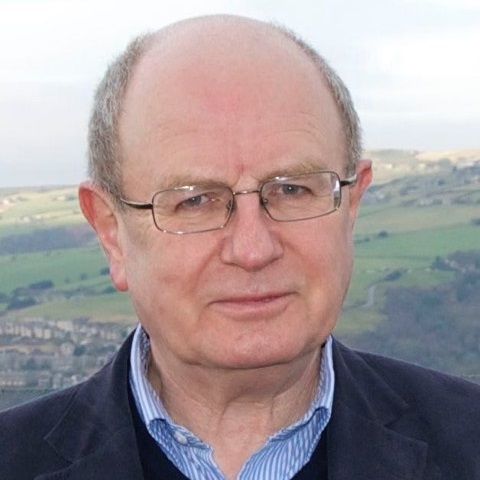 He was a leading campaigner against plans to build two large supermarkets, Tesco and Asda, on the outside of the Huddersfield ring road and is secretary of Kirklees Environment Partnership. Chas Ball has been active in sustainable transport for over a decade. In 1999 he founded City Car Club, now Britain’s largest independent car-sharing club, and in 2002 moved the company HQ to Huddersfield. He recently retired as chief executive of Carplus Trust, the national charity for shared transport, and last year contributed to the government’s enquiry into the shared economy. He believes public transport plays a crucial part in our local economy, but without increased capacity, better integration and lower fares, our region’s railways will fail to compete effectively with the car. An advocate of establishing a low carbon economy, Chas is supporting micro-generation and energy conservation and is a board member of the national Low Carbon Vehicle Partnership. He has contested local elections for the Crosland Moor & Netherton ward. He is a keen walker and swims regularly at the Stadium. I would produce an Annual Report each year on the past year and account for expenses and show expenditure involved in doing the job. I think a blog and extensive use of Twitter would help keep constituents aware of what parliamentary work involves. I would want my main base to be in the constituency. I would travel to London by rail – something I have been doing most weeks for several years. A fresh approach to politics influenced by Caroline Lucas in her new book “Honourable Friends?” I am an independent-minded person that gets things done and I would bring a varied life experience to the role. I am committed to Yorkshire after 35 years living here and particularly to the Colne Valley, the Holme Valley and Huddersfield. Jason McCartney is approachable and works hard and I have worked with him on a couple of issues in the House. He has adopted a high profile communications, which shows what he does as our MP. No the government’s approach is to use the post-crash crisis to dismantle the state and privatize more public services. This will reduce our “social wage” and result in a lower quality of life. The North has been badly hit particularly by very unfair treatment of local government. Transport spending here is one-tenth of that in the South East and overcrowding is getting worse; our regional economy suffers from poor communications. I am a member of the Low Carbon Vehicle Partnership and this is an area where meeting ever more demanding EU regulations has helped an innovative and diverse UK automotive industry maintain in a leading role internationally. Some of the government’s approach to funding R&D to support manufacturing and new industries is good, although late starting. Government support would work more effectively if some powers and funding were devolved to democratically accountable city regions. Immigration is not really the problem – it often accentuates the lack of availability of affordable housing, public and health services. Employers have benefitted from importing skilled people, which in a lot of cases we could have avoided by training in Britain. Nurses are a classic example of very poor planning. Government got this so wrong we are stealing nurses from all over the world when we would have provided jobs for people educated here who wanted the opportunity. I can remember when bus companies shut down training courses in favour of recruiting drivers from Eastern Europe. The problem is not immigration but past government’s unwillingness to fund or incentivise the provision of skills training. A better resourced Gangmasters Agency with a wider remit and higher penalties for illegal exploitation would help to ensure minimum wages are being paid and immigrants are not enslaved. I am committed to the Living Wage and ensuring that the minimum wage rises to £10 per hour by the end of the parliament. To achieve this we need to pursue a different economic policy that will not let wages fall behind at the expense of capital, which is what had happened over the past two governments. In order for us to have a better quality of life I think some of us will pay more in taxes – but we’ll get more too. I believe the state can ensure there is more effective regulation of key services, especially when markets are not operating in the public interest. On energy where the big six companies are so strong, we would encourage more decentralized production which would give communities, small businesses and individuals more control. I support the NHS Reinstatement Bill being promoted by Caroline Lucas MP and MPs from other parties to re-assert the founding values of the NHS. I am opposed to further privatization. I recognize that on the margins, charities and social enterprise have a role but wholesale handing over of key service to large profit making corporations is a guarantee of fragmentation and loss of staff commitment. The cuts are clearly affecting GP services and hospitals and we can only avoid this short term by increased funding. But we need more emphasis and resources on preventing ill health – fuel poverty, obesity, air pollution, and alcohol abuse – are all areas for attention that would make financial sense. Big question – it starts with economic policy. I am dismayed at the support for more austerity from both coalition parties, Labour and UKIP. Clearly as you see from earlier answers, I believe in investing more in skills training and would support more real apprenticeships. I would promote a bigger role for the third sector in developing effective training programmes. In education, we need a better deal for further and adult education – and for early years provision, where you can make most difference to disadvantage. One product of the present electoral system and the culture of politics as practiced in the House of Commons is a lack of diversity, which contributes to a tired democracy. With the highest proportion of women candidates in UK, the Green Party has adopted ways of addressing the gender balance in our party – but we still have a lot to do. If Green Parties in the UK achieve 10% of the vote nationally, we should have 60+ MPs – and more people would vote Green if we were properly rewarded with seats. I want to see the House of Lords largely elected and cannot believe that the Prime Minister and the old parties still runs it on personal patronage. With this largely nominated upper chamber, are we really a thriving democracy? I would argue to stay in the European Union and continue to fight for reforms as Green MEPs do already. We are leading the fight against TTIP, the Transatlantic Trade and Investment Partnership, which would put more power in the hands of multi-nationals. But leaving would be a disaster for our economy, our environment and our influence on what happens in our own continent. We must get more used to collaborating with our colleagues in the rest of Europe – we have the advantage that English is the most popular language in use. Some politicians and sections of the media exaggerate the degree of control exercised by the Commission – but the parliament needs to be stronger. Our present Government has not tried to be a team player in the EU, so has lost influence.